Our fundamental belief is that real positive change begins from within. As a result, at our medical spa, we place special emphasis on looking inside each guest to discover and address the root cause of any underlying health concerns. Because your overall health is dependent upon the degree of physical, mental, emotional and spiritual harmony and balance, our healthcare team takes a holistic, integrated approach to help you enhance your overall level of wellness. 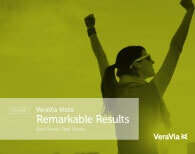 VeraVia’s integrative medical component goes far beyond what you’d experience during a standard primary care physician appointment. Our blood labs include many markers that are not included in standard blood work. 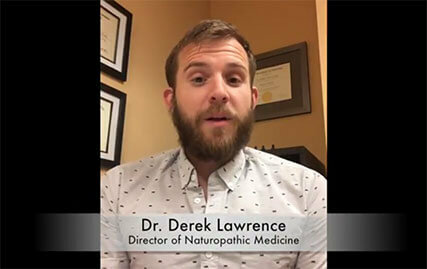 Furthermore, we have a naturopathic doctor on staff at our medical spa specifically because not only do they run more comprehensive testing but also interpret the results drastically different coming from a preventative, holistic perspective and more than simply “well the values are in normal range”. We don’t like normal, we want you to be optimal and extraordinary! Our in-house naturopathic doctor will meet with you to review your health history and symptomatology, explain your lab results, perform pertinent physical examinations, suggest additional indicated lab or imaging studies, and outline your specific health plan. During your comprehensive, one-on-one consultation, they’ll also investigate other health concerns, make diagnoses, and recommend effective, holistic treatments to address your overall health needs and goals. They will teach you powerful daily health tools to support and optimize your body’s physiological function, thereby improving your stress response; decreasing your toxic burden; and enhancing immune function. Your naturopathic doctor will provide you with your own detailed summary and personalized plan of action for when you get home. Many of our guests even continue to work with our naturopathic doctor after they go home and achieve life-changing improvements in their health! Once your health and fitness analysis at our medical spa is complete, your integrated team of clinicians will meet and discuss the best plan of action forward to help you achieve your health goals.